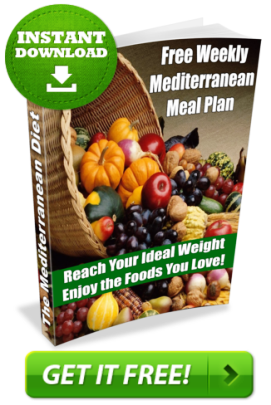 Hello and thank you for stopping by Mediterranean Book, our family's recipes blog. Here you'll find a lot of Mediterranean recipes, all tested by me, Valeria Forte, my family or friends. (*) Disclaimer: Results may vary, and testimonial are not claimed to represent typical results. In addition, you assume certain risks inherent in a nutrition program. Enrico and Valerie are not doctors, and their advice is not a substitute for medical advice. Consult your physician before beginning any nutrition program. However, Enrico and Valerie cannot guarantee your results with the Mediterranean eBook. The stories you see on this page are real. However, it must be disclaimed that these testimonials are not claimed to represent typical results with the program. They are meant as a showcase of what the most motivated and dedicated clients can do with the program. Your results may vary, and you may not get the same results when using this program due to differences in your individual exercise history, genetics, and personal motivation. © Copyright 2015 MediterraneanBook.com · All Rights Reserved · Admin · Please see our Terms & full legal disclaimer for more information on typical results, risks, and our full testimonials disclaimer.